TWICE is the leading brand serving the business-to-business needs of those in the technology and consumer electronics industries. 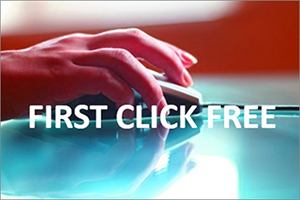 Google is ending its first click free (FCF) program that provides visitors to publisher sites with access to content behind subscription paywalls. The FCF program only works when clicking through from Google results in the search engine. The move is intended to help boost subscription rates, according to one report. Google will allow publishers to opt out of the program, but The Wall Street Journal reports that it did just that earlier this year and in August 2017 saw its traffic from Google search fall 38% – and 89% from Google News – compared with a year earlier. Basically, its articles were demoted in search results. Search rankings may have fallen as a result of opting out of the program, but Bloomberg reported in June that subscriptions soared. The WSJ's digital subscriber base grew about 30% in one of the quarters earlier this year compared with the prior year, partly driven by barring Google users from reading the articles and accessing the content for free. FCF was introduced in 2007 to expose subscription content to search users allowing them to read content on the site before they subscribe. "Up to now, subscription-based sites that didn't participate in first click free have been disadvantaged in Google's search results, because its algorithm only scanned the portions of articles outside the paywall," reports the WSJ. The new process will scan the full article, despite any paywalls, per the WSJ, citing a knowledgeable source. It's unclear when this change will go into effect. The annual "Ad Age Hispanic Fact Pack" just came out and it provides an interesting snapshot of the Hispanic market in the United States. Aside from celebrating the best Hispanic advertising work and the top players in the industry, there are always thought-provoking nuggets of data that provide deeper insights into trends in the Hispanic marketplace. 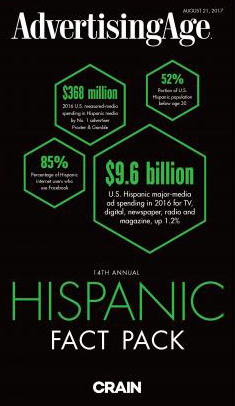 Hispanic media spend is finally shifting to digital advertising, which was up 17% to $2 billion. Considering total Hispanic digital ad spend is notoriously under-measured, it's clear that the shift to Hispanic digital media has arrived. Less than 30% of Hispanics are consuming most or all their TV and radio in Spanish. The online preference for English-language media by Hispanics is particularly pronounced with 44.4% of Hispanics only consuming English media online and 63% consuming only or mostly English content online. 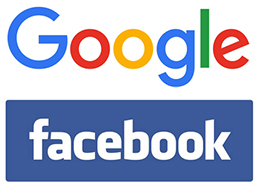 As David Chitel mentioned in his recent post, Google and Facebook have become the new Univision-Telemundo of Hispanic digital media. They are clearly gaining the most from the trend towards digital media spend in the Hispanic market and are leveraging their massive reach to establish themselves as the future duopoly of Hispanic media. Hispanic-targeted digital properties – web platforms focused strictly on the Hispanic market – have fallen off the map, with the 10 largest properties only reaching 12 million of the 35 million online Hispanics. That's less than one-third of the Hispanic online population reached by targeted Hispanic-specific digital properties. As consolidation of newspapers become more commonplace, another reality begins to emerge – a decline in local ownership. This year has been particularly hard for many long-time newspaper families, with a number of them selling to larger regional chains and corporations. In March, the Randall family announced the sale of the Frederick (Maryland) News-Post to Ogden Newspapers, headquartered in West Virginia. The family had owned the paper since 1883. A few months later, the Antelope Valley Press in Palmdale, California was sold to a new entity called Antelope Valley Press Inc., led by Canadian newspaper executive Steven Malkowich. In that case, the paper had been family-owned for more than 100 years. William Markham, former publisher and co-owner of the Antelope Valley Press, stated, "Now is the time for our family to make way for others with greater resources than ours." Just last month, the family-owned Morris Publishing Group sold 11 of its daily and non-daily newspaper holdings to GateHouse Media. The U.S. Census is incredibly useful for targeted distribution. Not only can you find the number of people who live in an area and number of households, but census data provides an incredible amount of demographic information that has real targeting applications like age, income, population, ethnicity, etc. The American FactFinder tool allows you to bring together extensive community statistics by city or ZIP code. Census data is downloadable or can be printed from the website. In-depth analysis of census data can help you make sure you are distributing your publication in the right locations and to the right people. The U.S. Census data is free to use and can be accessed at https://www.census.gov.